Sunday service, which includes the proclamation of the Word with prayer and praise. Christian marriage is proclaimed as a sacred covenant reflecting the Baptismal Covenant. Everything about the service is designed to witness that this is a Christian marriage. Both words and actions consistently reflect the belief that husband and wife are equal partners in Christian marriage and that they are entering into the marriage of their own volition. Those present are understood to be an active congregation rather than simply passive witnesses. They give their blessing to the couple and to the marriage, and they join in prayer and praise. It is highly appropriate that the congregation sing hymns and other acts of worship. Holy Communion may or may not be celebrated. If it is, it is most important that its significance be made clear. Specifically: (1) The marriage rite is included in a Service of Word and Table. (2) Not only the husband and wife but the whole congregation is to be invited to receive communion. It is our tradition to invite all Christians to the Lord’s table. (3) There should be no pressure that would embarrass those who for whatever reason do not choose to receive communion. The decision to perform the ceremony is the right and responsibility of the pastor, in accordance with the laws of the state and The United Methodist Church. All plans should be approved by the pastor. The pastor’s “due counsel with the parties involved” prior to marriage, mandated by The Book of Discipline, should include, in addition to premarital counseling, discussing and planning the service with them and informing them of policies or guidelines established by the congregation on such matters as decorations, photography, and audio or video recording. Any leadership roles taken by other clergy should be at the invitation of the pastor of the church where the service is held. The organist or person in charge of the music should be consulted and work with the couple in all decisions on music selection. lessons, sing or play instrumental music, or make a witness in their own words. pastor. In the United Methodist Church, we understand marriage to be a blessing from God given to a man and a woman. In turn you give yourselves to each other in this holy covenant. In times when our culture has adopted a casual and sometimes cavalier attitude toward marriage, the church has a greater responsibility to shepherd and nurture married people in their life together. 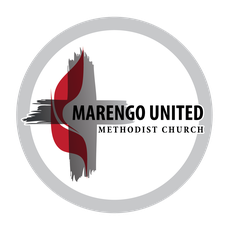 To have your wedding at Marengo United Methodist Church, it is not necessary that you be a member of our church. But you must be (a) intentionally seeking a Christian wedding and (b) at least one of you must be Christian in both faith and practice. Two to four consultations with the pastor are required before the wedding. 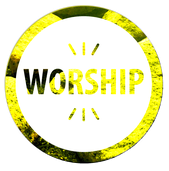 As part of these meetings you will work with the pastor on the form and content of the service. The pastor has final approval over all aspects of the service. A rehearsal is normally scheduled prior to the wedding service. This is usually scheduled for the preceding evening. Please note that, as a United Methodist Church, there is no smoking or alcoholic beverages permitted in the church building. Weddings are scheduled in advance and secured by payment of fees. The wedding itself must be approved and arranged with the pastor and church office. All fees are to be paid in advance of the wedding (no later than the rehearsal). 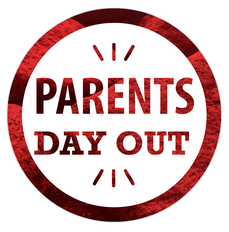 Please contact the church office for the most current fees or to schedule a visit.